HOUSTON, TX—(Marketwired – Dec 23, 2014) – Magnum Hunter Resources Corporation (NYSE: MHR) (NYSE MKT: MHR.PRC) (NYSE MKT: MHR.PRD) (NYSE MKT: MHR.PRE) (the “Company” or “Magnum Hunter”) is reporting today that the previously announced blowout of the Company's Utica Shale well, the Stalder 3UH, located in Monroe County, Ohio which occurred on December 13, 2014, is now under control and the well has been temporarily capped. Wild Well Control has successfully replaced the Stalder 3UH's well head assembly. Due to the gas content being ~97% methane, there is currently no evidence of environmental damage to the immediate area as a result of the blowout. Additionally, no personnel have been injured in connection with the well control operations on the Stalder Pad. Additionally, Magnum Hunter and its subsidiaries maintain customary control of well insurance coverage through multiple shared–risk co–insurance companies. Magnum Hunter believes that its control of well insurance will be adequate to cover all losses incurred by it in connection with the blowout of the Stalder 3UH well (subject to the normal retention amount of the insurance policy). BENTONVILLE, AR—(Marketwired – Dec 23, 2014) – This holiday season will be a little happier — and a little cozier — for hospitalized children in Arkansas. That's because the TownePlace Suites Bentonville Rogers recently donated 51 handmade blankets to kids at the Arkansas Children's Hospital, and to families at the Ronald McDonald House at Mercy Hospital in Rogers. Not only are the gifts coming in handy during the chilliest time of the year, but they demonstrate a generosity of spirit that makes everyone feel a little warmer. Getting into the holiday spirit is something everyone at this hotel in Bentonville, AR takes seriously. Where some people count a few hours or an entire day as enough giving back, associates at this hotel devoted multiple days to their goal of helping sick children by fundraising, crafting blankets and then delivering everything themselves. The Staff at the hotel is most grateful as many of their generous guests also made donations, helping to ensure the efforts were hugely successful. 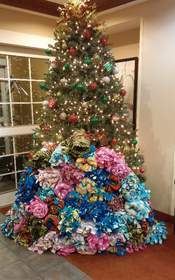 It all started last year when the hotel raised enough money to make 14 blankets for hospitalized kids. This year, the staff set a goal of being able to make 20. After several fundraising efforts — including a bake sale — the team put its $450 toward purchasing materials for 51 blankets. From there, associates regularly congregated in the hotel's meeting room to make the blankets. The impressive results were stacked in front of the hotel's Christmas tree before being distributed. The hotel partnered with Enterprise Rent–A–Car at the Northwest Arkansas Regional Airport to rent a steeply–discounted SUV, which they then used to make the 3.5–hour drive to the Arkansas Children's Hospital in Little Rock to deliver 40 blankets. They donated another 10 to the Ronald McDonald House at the Mercy Hospital in Rogers. And when a family who had recently been at the children's hospital stayed at this hotel near Rogers, AR, the staff made sure they left with one of the blankets, too. While the property may be best known for offering its guests some of the finest service and hotel deals in Rogers, AR, its philanthropic work exemplifies its equally important commitment to its community. “During our children's hospital tour in Little Rock, we saw areas that really opened our eyes and touched our hearts,” observes General Manager Laura Orr. These spaces — including the NICU and the roof where the Angel One helicopter lands when transporting children — may just be the inspiration the hotel needs to make even more blankets next year. The TownePlace Suites Bentonville Rogers makes sure its guests feel right at home by offering a winning combination of service, convenience and style. Situated near the Wal–Mart Headquarters and the Crystal Bridges Museum of American Art, the hotel's location is ideal for both leisure and business travelers. And its amenities are equally appealing. The recently renovated property features 78 suites outfitted with full kitchens, flat–screen televisions, DVD players and design perks like hardwood floors and marble countertops. Plus visitors are treated to free daily breakfasts, complimentary high–speed Internet access throughout the hotel and access to the heated indoor pool and fitness center. And the 180–square–foot meeting room ensures there's even space for meetings. PARIS, FRANCE—(Marketwired – Dec 23, 2014) – Just because something is considered the best doesn't mean it can't become even better. The Paris Marriott Rive Gauche Hotel & Conference Center, for example, earned a World Travel Award as France's Leading Conference Center Hotel in both 2012 and 2013, thanks to its vast square footage, expert service and convenient location. But such recognition only spurred it on to greater heights. 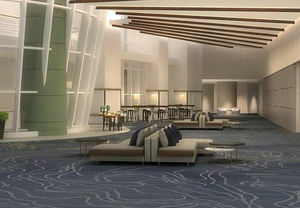 This year it underwent a comprehensive renovation whose results have meeting planners everywhere eager to get to work. Delegates will find no shortage of inspiration within this premier Paris conference center. Boasting 84 meeting rooms that occupy a staggering 51,667 square feet of underground space directly below the hotel, the conference center is poised to welcome intimate gatherings as easily as international conferences. Its Scène Ballroom can accommodate up to 2,000 people, for example, while 40 breakout rooms invite smaller groups to brainstorm. While the conference center offers some of the biggest meeting space in Paris, it's also among the most beautiful. Visitors will discover sleek, chic conference rooms that have been meticulously designed. Warm gold tones and sculptural lighting serve as a creative nod to the City of Light, while interesting wall treatments ranging from tactile wood paneling to prints evoke organic elements like leaves and stones. On a more practical note, the hotel has integrated features like better signage and, in the pre–function space, flexible seating to ensure that the spaces employ function as well as impressive form. All of the other features that make the property stand out even among 4–star hotels in Paris remain attractively in place. On–site exhibition space, a full–service business center, 24–hour concierge service, a fitness center and two concierge levels all enhance both productivity and pleasure. The 757 guest rooms and suites indulge guests with luxury bedding and high–speed Internet access. And for those who would like a guest room to match in scale and opulence the conference spaces below, the Champagne and Hemingway suites afford ample square footage, spectacular views and access to the hotel's Executive Lounge. Enjoying the best, after all, makes every trip better. Located in the heart of downtown and easily accessible from all major airports, the Paris Marriott Rive Gauche Hotel & Conference Center is a top pick for both business and leisure travel. Voted France's Leading Conference Center Hotel at the 2013 World Travel Awards for the second consecutive year (2012 and 2013), the property features 84 meeting rooms and business–friendly amenities including high–speed Internet access and an Executive Level with private lounge access. Guest rooms offer comfort, quiet and style with spectacular views, large work areas, coffee/tea service, 24–hour room service and luxurious bedding including custom duvets and plush pillows. Guests can also unwind in the fitness center followed by a post–workout massage. The Greatroom offers a space for dining, meeting and relaxing with 70s–inpsired decor, an international restaurant, cocktail bar, private lounge areas, take–away counter and Wi–Fi. The hotel is conveniently located near the Latin Quarter, Gare Montparnasse, Saint–Germain–des–Pres, Paris expo Porte de Versailles and La Halle Freyssinet. Major attractions, including the Eiffel Tower, Champs–Elysees and Notre Dame, are less than 30 minutes away via the nearby Metro. ELIZABETH, NJ—(Marketwired – Dec 23, 2014) – There's no better time to enjoy big city lights than during the holidays, so now is the time to plan a break and enjoy the sights and sounds of New York City. With plenty of festivities to explore, it's easy to surprise yourself with just the right escape to put the holidays in perspective so you can relax and enjoy the season. Christmastime in New York City is a fun time and with a money–saving hotel package at nearby Elizabeth, NJ, it doesn't have to be expensive. So, whether looking for typical holiday attractions such as the popular Radio City Christmas Spectacular and American Ballet Theatre's The Nutcracker or simply relaxing with freebies such as the impressive “Holiday under the Stars” at Time Warner Center on the Upper West Side, Winter Garden holiday lights at the glass enclosed atrium of the World Financial Center or the “Snowflake Spectacular” at Saks Fifth Avenue, it's easy to find something to do. Plan now to explore the holiday intrigue by booking the Elizabeth hotel package for a winter weekend of holiday fun. Finish last–minute shopping, take advantage of after–Christmas sales or window shop the legendary glass encased displays that adorn retailers such as Macy's, Bloomingdales, Lord & Taylor, Barneys and many, many more, most of which will stay intact until the end of the year. A weekend getaway booked with the Renaissance Newark Airport Hotel's “Holiday Gift to You” deal includes a $25 hotel credit that may be used for expenses such as dining, internet access and parking at the hotel, leaving more money for a holiday relaxation budget. The Elizabeth, NJ hotel's convenient location puts guests just a short drive or train ride from the bright lights of NYC and just three miles from Newark Liberty International Airport. 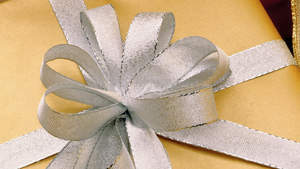 Begin planning a weekend filled with holiday cheer by simply visiting http://www.marriott.com/hotels/travel/ewrnr–renaissance–newark–airport–hotel/ and using promotional code 1AH to secure your dates and then start packing to enjoy the Elizabeth New Jersey hotel's “Holiday Gift to You”. A delightfully sophisticated destination, the Renaissance Newark Airport Hotel welcomes guests with a warm ambience that quickly sets the pace for a comfortable stay. Boasting newly renovated guest rooms and full–service amenities, travelers can expect to be pampered with attentive service and thoughtful amenities including plush bedding ensembles, Revive bath products, 37–inch HDTVs and room service. The hotel lobby provides guests with an alluring place for relaxing with free wireless Internet and easy access to the Ironbound Grill and lobby lounge. A Club Lounge is also available for complimentary food, beverage and business services throughout the week. With 17,000 square feet of high–tech event space, on–site catering and a professional staff of dedicated event managers, the Renaissance is an ideal destination for business conferences and elegant social gatherings. NEW YORK, NY—(Marketwired – Dec 23, 2014) – The New York Marriott Marquis has always been at the hub of excitement in Times Square, and now its Broadway façade has just become even brighter. On November 18, the world's largest and most technologically advanced digital LED screen was activated with an impressive generative art exhibition by digital artists Universal Everything, a world–class multidisciplinary studio collective focused on using technology to invent new forms of design and moving image. Vornado Realty Trust commissioned the extraordinary screen as part of its redevelopment of the signage and retail components of the hotel. Manufactured by Mitsubishi Electric Power Products, Inc., the sign incorporates nearly 24 million pixels to create the most Ultra–High Definition display in the world. Sitting in the middle of the bowtie in Times Square on the hotel's east façade, the screen is eight stories high and spans the entire block, from West 45th Street to West 46th Street, on Broadway. The screen measures 330 feet by 78 feet and is the length of a football field. 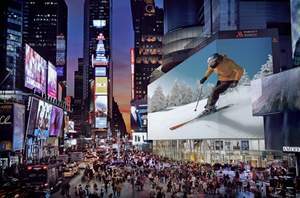 Times Square is one of the most recognized destinations in the world and is the place where advertising is relevant 24/7. It is anticipated that demand for this marquee placement for national and global ad campaigns will be high. The New York Marriott Marquis was a pioneer in Times Square when the hotel opened in 1985 and it will celebrate its 30th anniversary in 2015. The 1,957–room hotel was the first major branded hotel in the neighborhood, which was a challenging area in the early 1980s. It has been a successful Times Square hotel since its opening, and many other major brands have followed over the years. The New York Marriott Marquis continues to stay current, with the recent completion of major renovations to its guest rooms, restaurants and over 100,000 square feet of banquet and meeting space. The development of the exterior LED screen and retail by Vornado Realty Trust is truly a major 21st century enhancement to the building itself. 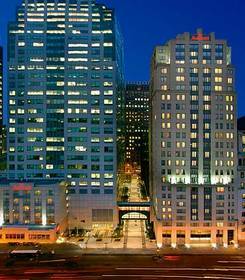 The New York Marriott Marquis is located at 1535 Broadway, between West 45th and West 46th Streets. BROOKLYN, NY—(Marketwired – Dec 23, 2014) – The New York Marriott at the Brooklyn Bridge is prepping for a season of festive celebration and announcing an exclusive holiday offer for seasonal travelers. Just in time to explore everything the borough has to offer this December and January, the Brooklyn hotel is granting guests up to a $50 daily credit with its “Our Holiday Gift to You” package. Guests who book before the New Year and use the offer code 1AH will receive the credit to use during their stay, now through January 19, 2015. The offer is timed for guests to take advantage of everything going on in and around Brooklyn this season. You can find many other guests strolling across the Brooklyn Bridge throughout December, which offers a great glimpse of the holiday lights on the Empire State Building. Afterwards, grab some hot chocolate at Jacques Torres, or order a slice at Grimaldi's or Juliana's. Catch a showing of the American Ballet Theatre's The Nutcracker, or grab tickets to a number of different holiday events going on at Barclays Center, including Christmas in Brooklyn, or New Year's Eve with Elton John. For last–minute shoppers, some of New York's best holiday markets are right nearby, offering guests a chance to browse for affordable gifts or rare finds. The New York Marriott at the Brooklyn Bridge offers easy access to everything going on in and around the borough, and when the fun's over, guests can unwind in their room and enjoy the modern comforts of one of Brooklyn's best hotels near some of the city's most memorable holiday sights. Set within the famous and charming neighborhood of Brooklyn Heights, NY, the hotel welcomes each guest with elegance and convenience in equal measure. Its stylishly designed rooms are some of the largest available in the city and additional hotel amenities include a modern fitness center, 75–foot lap pool, and whirlpool, creating a haven of comfort for its guests. With Manhattan less than two miles away and the charms of the Brooklyn Heights neighborhood immediately at hand, the New York Marriott at the Brooklyn Bridge is one of the best ways to experience the Big Apple. Business guests are treated to 44,542 square feet of flexible banquet space equipped with modern A/V capabilities and Wi–Fi. Those traveling for pleasure will be equally delighted by the luxury property, as it affords plush bedding, Plug–and–Play Panels for easy technological connectivity and flat–panel LCD HD televisions in the 665 guest rooms and suites. And with a newly renovated fitness center, on–site spa and contemporary dining at The Archives Restaurant and The Archives Lounge and Bar, the hotel ensures guests will love every New York minute of their stay. NEW YORK, NY—(Marketwired – Dec 23, 2014) – Just in time for the holidays, the Westchester Marriott is offering seasonal travelers a special gift when they take advantage of an exclusive Marriott Rewards weekend offer, for up to 20% off in the Hudson Valley. Guests who book the limited–time offer at the West Point hotel can use the extra discount to take time to explore some of the region's festive holiday themed events and activities, or just to get away for a weekend to recharge. There's plenty of holiday–themed fun to be had in the Hudson Valley and the Westchester Marriott gives guests access to some of the best seasonal sights. The first ever Westchester Winter Wonderland welcomes guests to marvel at a dazzling display of more than 2.5 million LED lights, set to an hour–long continuous show, choreographed to holiday music. Kids will enjoy sleigh rides, the Himalaya ride, and more. Visitors can also take a crack at the recreational ice–skating rink, browse holiday themed vendors for rare finds, and take photos with Santa himself. Afterwards, grab a bite to eat in the cozy food court. Kid–friendly fun can be found all around the hotel, with Santa visiting nearby stores, the Holiday Train Show at the Botanical Gardens, Max and Ruby Live: In the Nutcracker Suite, and DreamWorks North Pole Adventure at Westchester Ridge Hill, where kids can find Santa with Shrek's help in an immersive, one–of–a–kind holiday experience. The Westchester Marriott gives visitors access to it all, just moments away from the hotel. Located in the beautiful, historic Hudson Valley, near both West Point, NY and New York City the hotel provides the perfect base from which guests can explore all of the region's unique holiday sights. Guests are invited to indulge in the farm–to–table cuisine at Cooper's Mill Restaurant, or visit the renowned Ruth's Chris Steak House, both located at the hotel. For more information about the Westchester Marriott in NY, visit the hotel website. 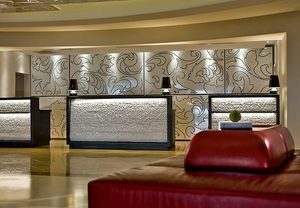 The Westchester Marriott greets travelers with an inviting lobby, exceptional service and spacious accommodations that set the stage for a pleasant hotel experience whether traveling to Tarrytown for business or leisure. Upscale features such as marble bathrooms, Plug–In technology, premium movie channels and room service are standard in all guest rooms and upper level concierge rooms are available for even greater weekday benefits. Boasting 26,000 square feet of high tech event space complemented by dedicated event managers and a team of culinary professionals, this distinctive property is a popular choice for hosting business meetings, corporate conferences and elegant social gatherings. Here, guests can wander through the picturesque Hudson Valley, explore Sleepy Hollow or the stunning Rockefeller Kukyit estate, located near the hotel, or visit the United States Military Academy at West Point with ease. LAKE FOREST, CA—(Marketwired – Dec 23, 2014) – Del Taco says it's time for a better taco! The chain, with nearly 550 locations nationwide, has announced it has teamed up with the JENNIE–O® brand to develop turkey in developing a lean, seasoned ground turkey recipe using a proprietary blend of spices. Available at participating restaurants beginning December 30th, the turkey has 33 percent less fat than Del Taco's seasoned beef, yet offers the same craveable flavor fans know and love. Initially introducing turkey to the menu in January 2014, Del Taco continues to satisfy guest demand for quality ingredients and is still the only Mexican quick service restaurant to offer lean, seasoned ground turkey as a protein option. Del Taco's menu will highlight turkey best–sellers including the Turkey Tacos, Turkey Combo Burrito, Turkey CrunchTada Tostada and the Deluxe Turkey Taco Salad. Price and participation may vary. At Del Taco, all menu items taste better because they are made to order with fresh ingredients including cheddar cheese grated from 40–pound blocks, handmade pico de gallo salsa, lard–free beans slow–cooked from scratch, and marinated chicken grilled in the restaurant. The menu includes classic Mexican dishes such as tacos, burritos, quesadillas and nachos as well as American favorites including hamburgers, crinkle–cut fries and shakes. In 2014, Del Taco celebrated its 50th anniversary and recently launched the “UnFreshing Believable” advertising campaign to communicate the lengths the company goes to in order to deliver quality, made–to–order menu items created with freshly–prepared ingredients. Del Taco also serves breakfast featuring a full line of breakfast burritos. Del Taco has close to 550 restaurants in 16 states serving more than three million guests each week. The nation's leading consumer review magazine named Del Taco as having the “Best Value for Your Money” in its annual survey on “America's Best Fast Food (and the Worst).” The results appeared in the August 2014 issue of the magazine and were based on opinions of 96,000 diners nationwide who had meals at 65 restaurant chains. Consumers can receive coupons for free food by “liking” Del Taco on Facebook at www.facebook.com/deltaco or joining our Raving Fan eClub at www.DelTaco.com/RavingFan. 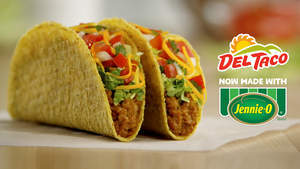 For more information, please visit www.deltaco.com.